Maria Ahmed came to Sweden in 2011 as an unaccompanied refugee child. She had to leave Afghanistan as her family’s life and safety was under threat in their home country. The family was shattered in the escape; Maria, her father, mother and two sisters. Only Maria boarded the plane to Sweden. Since autumn 2011, Maria has a permanent residence permit in Sweden. During her three and more years here, her family has repeatedly applied for residency in Sweden to come into safety and to reunite the family. Maria’s father has been in Sweden since 2013. But right now he is in custody in Flen, awaiting deportation. When he leaves, Maria – 12 years old – is left alone in Örebro with no family. No parents. All Maria’s friends from her class at Sörbyängsskolan in Örebro, Sweden have signed the petition. They say: ”We are all classmates in class 6B and we’re protesting against the Swedish Migration Board’s decision. We believe that all children have a right to their parents. This also applies to unaccompanied refugee children. 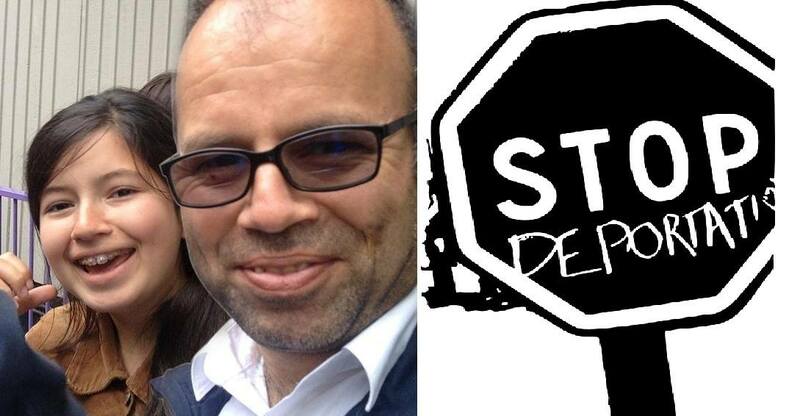 Stop the deportation of Maria’s father now! Sweden has so many times been objected and condemned by the international asylum rights activists and organizations due to force deportations and usage of drugs while accomplishing the force deportations to Afghanistan. The government of Sweden is deporting the Afghan asylum seekers by force to Afghanistan whereas they fail to do such deportations to the other countries, because those countries deny to accept the forced deportees unless it is done in volunteer. The ministry of refugees and repatriation and the border police of Afghanistan can play a very significant role in stop of such force deportations. November 9, 2014 in Human Rights News. Thanks for your support in Maria’s struggle! Anyone who wants to help, sign the petition in the website http://viprotesterar.nu/, you’ll find English information and link to the petition in the bottom of the website, or just click the red button in the website header and sign with 1. your firstname, 2. last name and 3. e-mail address, then verify the signature in your own e-mail box e-mail, thank you so much! The petition is in Swedish but I am sure you’ll figure it out.